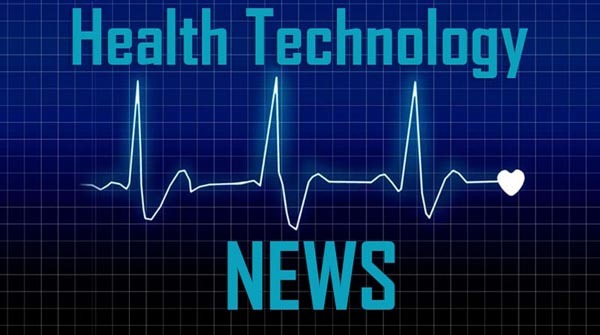 MADRID, SPAIN and CAMBRIDGE, MA / ACCESSWIRE / March 20, 2019 / Oryzon Genomics, S.A. (ISIN Code: ES0167733015, ORY), a public clinical-stage biopharmaceutical company leveraging epigenetics to develop therapies in diseases with strong unmet medical need, announced today that the company will continue its institutional presence in several reputed international investment and medical conferences in the upcoming weeks. Dr. Bullock commented: “This is the first human clinical data obtained with Vafidemstat and we see a neurologically relevant effect. The fact that we have confirmed the preclinical observations from aggression models and that these observed improvements not only reduce aggressiveness but also improve the overall scales is encouraging as a proof of concept. This will be completed soon with more data from patients with other indications within REIMAGINE, giving valuable information to design further definitive studies”. Vafidemstat (ORY-2001) is an oral, brain penetrant drug that selectively inhibits LSD1 and MAOB. The molecule acts on several levels: it reduces cognitive impairment including memory loss and neuroinflammation, and at the same time has neuroprotective effects. In animal studies Vafidemstat not only restores memory but reduces the exacerbated aggressiveness of SAMP8 mice, a model for accelerated aging and Alzheimer’s disease, to normal levels and also reduces social avoidance and enhances sociability in murine models. In addition, Vafidemstat exhibits fast, strong and durable efficacy in several preclinical models of multiple sclerosis (MS). Oryzon has already started Phase IIa clinical studies with Vafidemstat in patients with Relapse-Remitting and Secondary Progressive MS (SATEEN), in patients with Mild to Moderate Alzheimer’s disease (ETHERAL) and in aggressiveness in patients with different psychiatric or neurodegenerative disorders (REIMAGINE, a basket trial). This communication contains, or may contain, forward-looking information and statements about Oryzon, including financial projections and estimates and their underlying assumptions, statements regarding plans, objectives and expectations with respect to future operations, capital expenditures, synergies, products and services, and statements regarding future performance. Forward-looking statements are statements that are not historical facts and are generally identified by the words ”expects,””anticipates,””believes,””intends,””estimates” and similar expressions. Although Oryzon believes that the expectations reflected in such forward-looking statements are reasonable, investors and holders of Oryzon shares are cautioned that forward-looking information and statements are subject to various risks and uncertainties, many of which are difficult to predict and generally beyond the control of Oryzon that could cause actual results and developments to differ materially from those expressed in, or implied or projected by, the forward-looking information and statements. These risks and uncertainties include those discussed or identified in the documents sent by Oryzon to the Spanish Comisión Nacional del Mercado de Valores (CNMV), which are accessible to the public. Forward-looking statements are not guarantees of future performance and have not been reviewed by the auditors of Oryzon. You are cautioned not to place undue reliance on the forward-looking statements, which speak only as of the date they were made. All subsequent oral or written forward-looking statements attributable to Oryzon or any of its members, directors, officers, employees or any persons acting on its behalf are expressly qualified in their entirety by the cautionary statement above. All forward-looking statements included herein are based on information available to Oryzon on the date hereof. Except as required by applicable law, Oryzon does not undertake any obligation to publicly update or revise any forward‐looking statements, whether as a result of new information, future events or otherwise. This press release is not an offer of securities for sale in the United States or any other jurisdiction. Oryzon’s securities may not be offered or sold in the United States absent registration or an exemption from registration. Any public offering of Oryzon’s securities to be made in the United States will be made by means of a prospectus that may be obtained from Oryzon or the selling security holder, as applicable, that will contain detailed information about Oryzon and management, as well as financial statements.